Morphology is the branch of linguistics that studies word structures. At GRACEPOINT, all students are introduced to morphology. Once students have completed the scope and sequence of Orton-Gillingham, their next step is a morphology class. 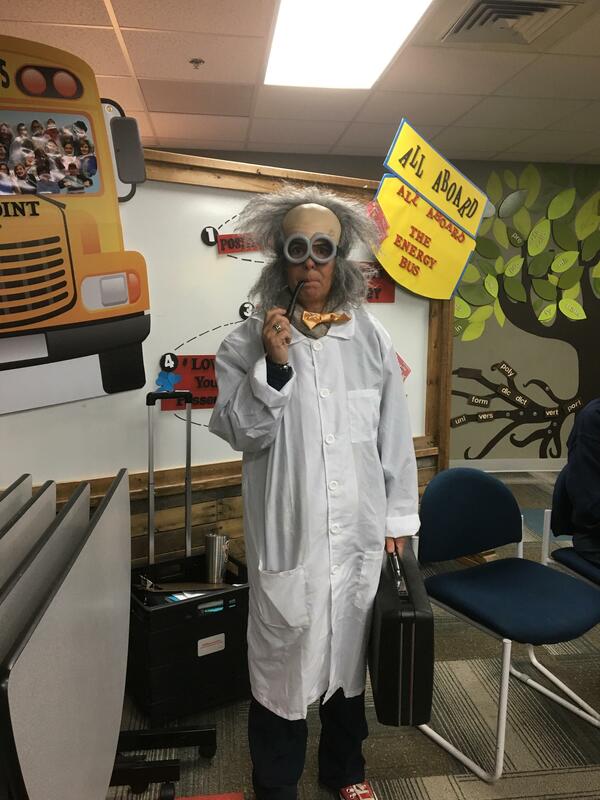 Angie Strack, Director of Morphology and Middle School Department Chair, but more importantly, known as GRACEPOINT’s infamous Word Scientist has been the influential backbone in incorporating morphology into the curriculum. The students are so tuned in and accepting of this method because she knows how to make learning fun. She literally transforms into the school’s word scientist with quirky costumes and interesting accents. Nothing about Gracepoint is boring- they know how to engage students. Breaking down words to their roots, suffixes and prefixes makes understanding easier. The student no longer views a large foreign word, but instead, lots of small parts that make sense when worked out individually. Understanding a morpheme’s meaning enables the student to comprehend many words made from combinations of these elements, thus expanding vocabulary. If a student has strong morphological awareness skills, he or she can problem solve what these words might mean by thinking about each of the individual morphemes, then blend those meanings together to determine the word’s meaning. This skill is not only helpful in determining what a word means, but extremely useful on such things as standardized testing such as college acceptance tests like the ACT and SAT among others. I asked GRACEPOINT’s Word Scientist a few questions about this method of teaching. How have you seen morphology work in Dyslexic kids? Do the kids easily catch on to this approach and do they like it? GRACEPOINT incorporates Morphology into all curriculum areas during the school day for all students. Once students reach middle school, they receive more intense instruction with a full class period dedicated to Morphology. It is a teaching skill that makes this school unique and proves to be a component that is preparing these students for success long after they’ve moved on.